you may be on to something Che, but then I'm afraid it wouldn't be a simple Bacon and Egg pie anymore. 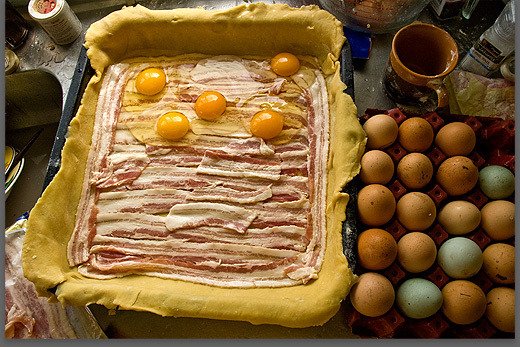 We'd have to call it the Ultimate Man's Bacon and Egg Pie or something. Hope it went down well.